You absolutely love your job working at Quick Trip (or equivalent convenience store). Plus, they're the only people who will hire you with your Tourette's Syndrome and you get paid 22 dollars/hour, so leaving your job is not an option. 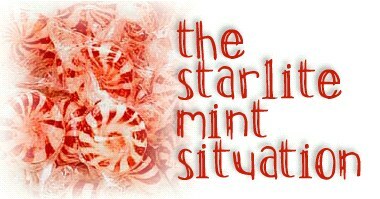 Everything is going swimmingly until, one day, a gnarly old dude waltzes up to the counter and says that he wants to exchange his bag of Starlite Mints (which he bought yesterday entirely in pennies, but that's another story...) for another because his mints are flawed. He then proceeds to unwrap every single mint and points out to you the imperfect spacing on every single mint. It's clear that he expects every single mint to be perfectly identical. You tell him, "@#$%* it! I can't help it!" (You have Tourette's, remember?) He is not dissuaded. The whole unwrapping process took a deadly boring two hours, so you give him an exchange because it is store policy and also because you want to get him out of your fine establishment. But he returns the next day - same routine. It is painfully clear that he will repeat this process every day: he sincerely believes that his mints have just been flukes.